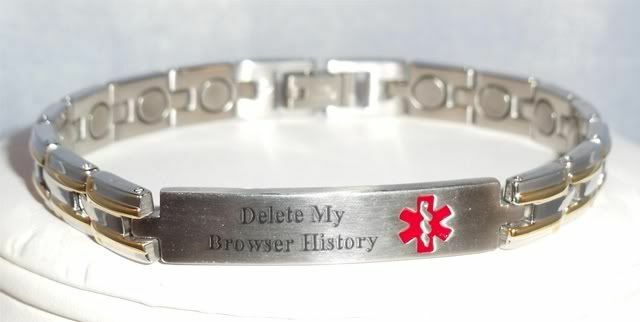 Medical Alert bracelets are usually to signal to emergency medics if you have a potentially life threatening issue. That might be something like epilepsy, autism, food allergies, etc. In my case, deleting my browser history would simply clear up a couple gigs worth of junk. :P I practically never clear it and I visit hundreds of sites daily. Oops.